It sounds like it might be an interesting blogger conference, with lots of fascinating sounding seminars! 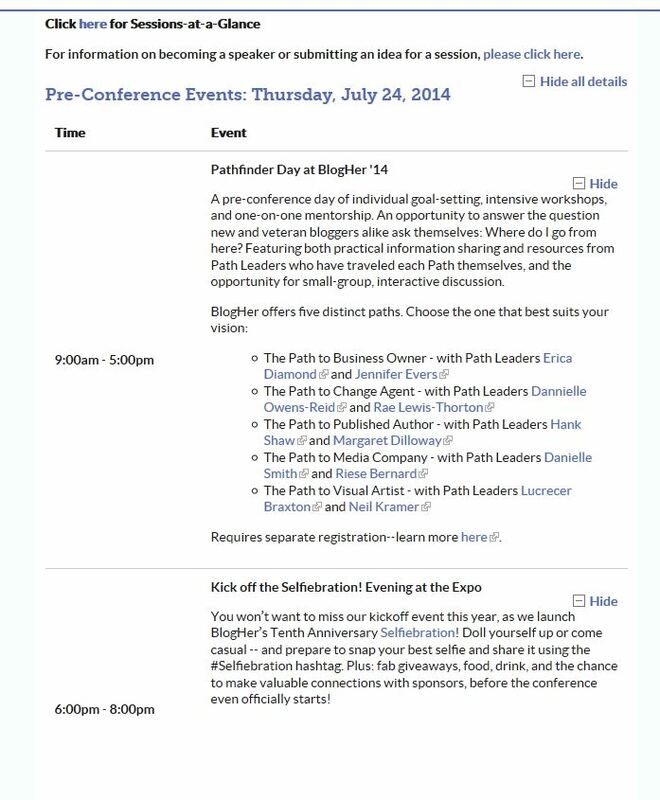 I’d never heard of BlogHer, but it looks like a huge and comprehensive site. Are any other bloggers aware of, or part of, this site? For those of you who are interested in blogging, or who live in the SF Bay Area, here are some “screen captures” of some of the interesting sounding seminars they’ll be offering. There are a number of “pre-conference” workshops and seminars on Thursday. 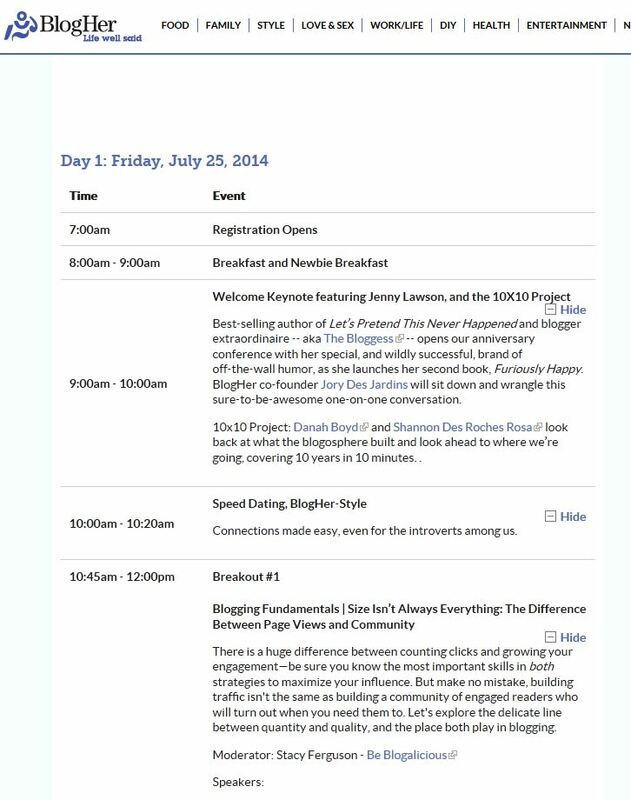 It looks like Friday, July 25, 2014 has a variety of interesting seminars, too. More Friday opportunities: A “Geek Bar” and “Lean In Circles”…. opportunities for asking some of those “blogging questions” and for connecting with other like-minded bloggers… wow!…that sounds good! Saturday is filled with more interesting learning and connecting opportunities. 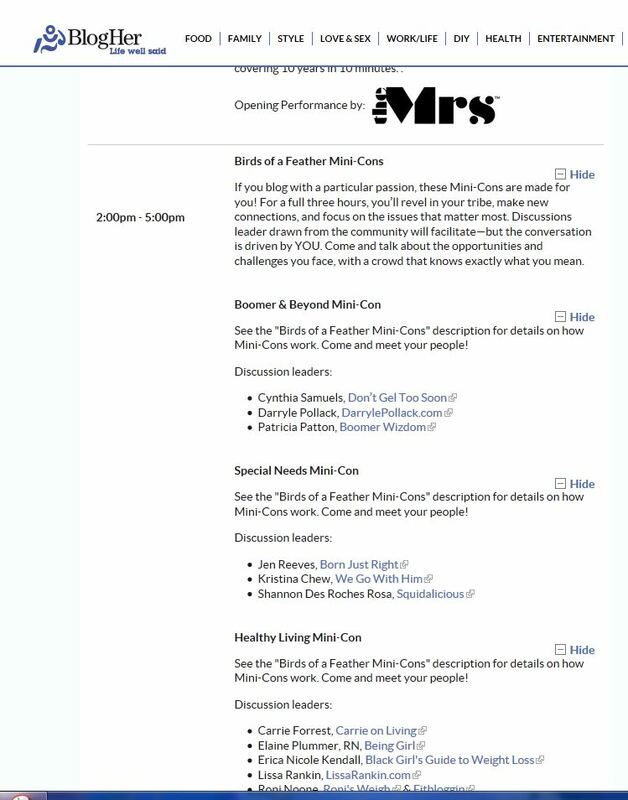 The “Mini Cons” on Saturday afternoon look intriguing. Sounds like a positive opportunity for “Birds of a Feather” to find each other, connect and bring some good ideas back into their own blogs. 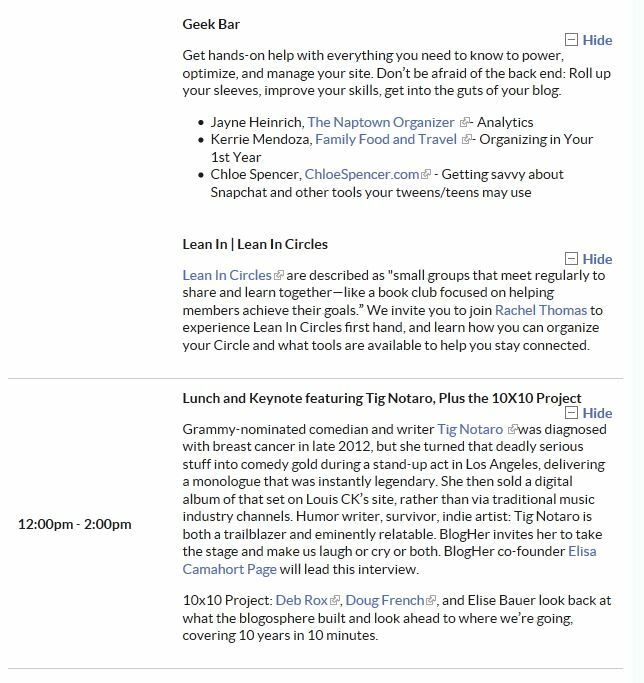 And so… in case there are other San Francisco Bay Area bloggers reading this post…or even if you live far away… it sounds like the BlogHer14 conference might offer some very interesting topics and positive opportunities to explore, question, learn and connect… sounds good to me! This entry was posted in Encouragement, Inspiration and tagged Blogging, Encouragement, Inspiration, Intention, Life, Motivation, Personal growth, Perspectives, Wisdom. Bookmark the permalink. I know WordPress head quaters is in SF….does it cost? Something to think about.. thanks for posting this. I have a cousin very involved in this conference. I have never attended, but she has been a speaker and has supported the event since the first conference a few years ago. She speaks very highly of it…hope you can attend. 🙂 I think you’d enjoy it very much.